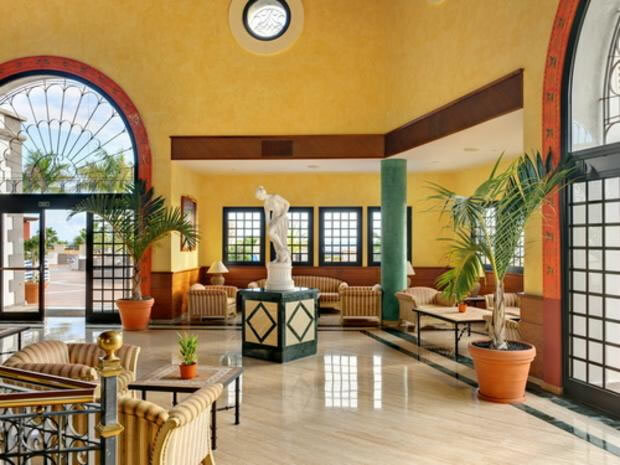 The Sunlight Bahia Principe Tenerife will greet you with striking pastel coloured buildings and welcoming hospitality. Highlights are its large terrace with two impressive pools and excellent dining options to consider, including Mexican and Asian fine dining. Sports enthusiasts will be very satisfied with the wide range of activities including tennis, squash and waterpolo, and superb evening entertainment is on offer for those who want to make each day last longer. The atmosphere is as vibrant as the hotel's décor. 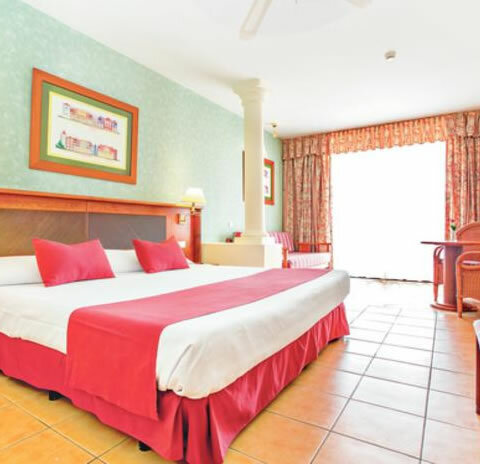 Please note the Bahia Principe Resort consists of the Bahia Principe Costa Adeje and the Bahia Principe Tenerife. These rates are for rooms at the Bahia Principe Tenerife Hotel only and your booking will be allocated at this hotel. 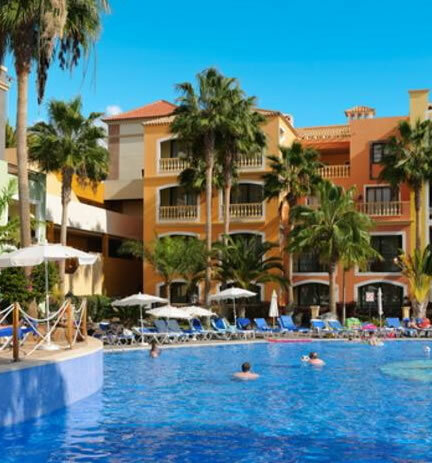 If you would like a quote for the Bahia Principe Costa Adeje then please give us a call on 01226 340034. With twin beds or a king-size bed, plus a living area with sofa bed. Air conditioning, ceiling fan, Wi-Fi (payable locally), satellite television, fridge, safe (payable locally), hairdryer, full bathroom with hydro massage bath and shower, and balcony or terrace. 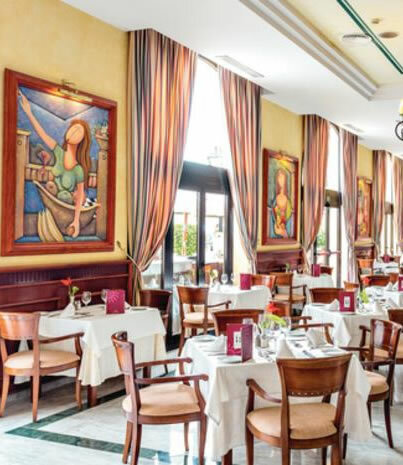 Bahia Principe Tenerife has one main buffet restaurant and two a la carte restaurants one serving Asian cuisine and the other Mexican. All the food and drinks in the buffet and 3 à la carte dinners in the speciality restaurants are included in the price of your reservation. In all the bars you'll enjoy the all-inclusive package with a wide selection of alcoholic drinks, beer and soft drinks. The hotel has 2 bars, in the hotel's lobby and a poolside bar. Also, in the Pueblo Príncipe, the complex’s shopping and leisure centre you'll find various bars including the La Fiesta Sport Bar. The Bahia Principe complex has well-maintained, imaginatively laid-out grounds, here you will discover an amazing pool complex (total surface area of 3,000 m2) with 3 freshwater pools, separate children's pool, a pool snack bar as well as a sun terrace (sun loungers, parasols and pool towel service included). Other amenities include a Jacuzzi, a sauna, a gym and, for an additional fee, a massage service. Guests may participate in the aerobics sessions, play squash, tennis, or badminton, catamaran sailing and billiards, you can have a go at scuba diving with a diving taster course or a visit to a professional dive school (additional fees apply). For golf enthusiasts, there is a free shuttle bus service to Costa Adeje golf course. If you want to have fun the hotel also offers a daytime and evening entertainment programme, for guests both young and old. Facilities on offer in the hotel include a 24-hour reception, a lounge with a sitting area and a lobby bar. A public Internet terminal (additional fee applies). Within the complex is the Pueblo Principe this facility is built in the style of a Canary Island village and is home to several shops, cafes, a hairdresser and beauty salon as well as a nightclub. Furthermore, there is a laundry service, a car park and a garage as well as a kids' club for those younger guests aged 4 to 12 years old and a playground.